In today's market it is important to hire the right agent to get your listing sold. When interviewing agents to market your home make sure you ask the hard questions and do your research in seeing what it is that they do for their current clients when marketing their homes. Below are some examples of what you should be looking for in your Realtor when it comes to getting your home sold. What do they consider marketing? - Are they taking advantage of social media marketing and advertising on Facebook? - Do they have a professional website and know how to drive traffic to your listing on their site? - Do they host open houses? - Do they invest in professional photography? - Do they provide value to the community as a local resource of information on the real estate market and the trends? Always ask yourself, "Is this an agent that does the three p's? Places a sign in the front yard, puts the listing in the MLS, and prays that another agent will sell the property. Or is this an agent that has the skills, know-how, and drive to actively market my home to get it sold in the least amount of time and for the most amount of money?" It is important that you have a good understanding of what the strategy is for marketing your home and what is expected from both yourself and the Realtor to accomplish this goal. 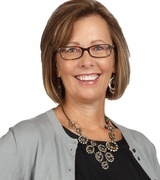 Tina Friar specializes in marketing homes and has ample experience. If you are considering selling your home, make sure to reach out to Tina Friar for a free consultation.